Wacom is one brand that is known by many illustrators in the world. Their products are shaped tablet digitizer, which is used for drawing with a computer. Wacom tablet itself many variations of pen-based issue, ranging from that are intended for office workers, up to a professional illustrator. The types of Wacom brand, which until now commonly used by illustrators is a Wacom Bamboo, Wacom Intuos and Wacom Cintiq. Wacom re-released a tablet gadget that are intended for professional designers. 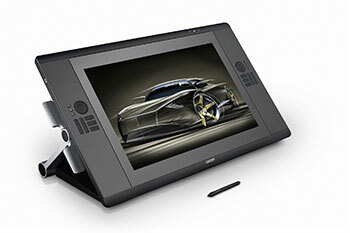 The latest gadget made ​​by companies based in Saitama, Japan where the Wacom Cintiq 24HD is given . This device is a combination of an LCD screen with a stylus pen, so you can say it a touch screen monitor. The difference, of course on the accuracy of the stylus pen his very precise and detailed to draw on the screen size of 24.1 inches. This wide screen has a resolution of 1920 x 1200 pixels. Wacom Cintiq 24HD allows professional users to work for long periods of time without feeling tired. This is thanks to the presence of ten individual Express Keys are configured, two Touch Rings and design that is specifically designed to allow users in selecting the working position. 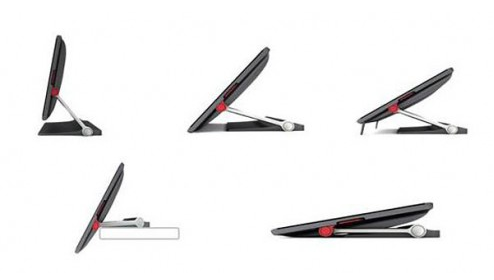 For convenience in designing something on this device, the Wacom Cintiq screen 24HD holder slope angle can be adjusted, ranging from 2 ° to 77 ° and the edges of the screencan also function as a place to lay his hand so as not to tire quickly.